A nice little demonstration of what wine making choices are all about. The same fruit (palomino fino), parcel of land (Finca Matalian, near Chiclana), vintage (2014) and producer (Primitivo Collantes) but two utterly distinct wines. 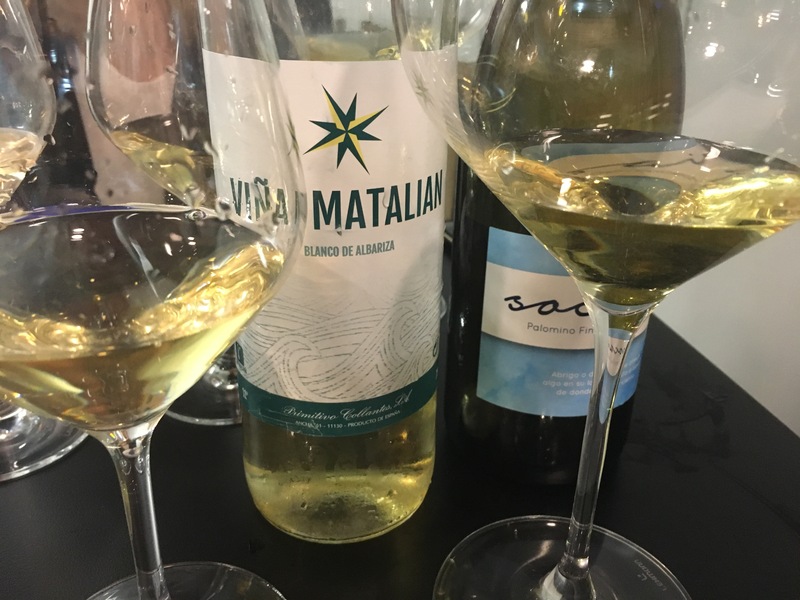 The Viña Matalian was fermented in temperature controlled inox and as far as I know hasn’t had any barrel and what you get is a very quiet, refined and refreshing little wine. Very pale in colour it has a sweet almond and herb (rosemary) nose, and then a dryer, more mineral almond palate with just a hint of chalky texture. What really stood out about it for me (although to be honest I went looking for it) is how soft and smooth it was – no edges at all. Nothing spectacular but a very pleasant tipple. By comparison the Socaire comes across as a bit of a beast. Unlike the Viña Matalian it has been barrel fermented without any temperature control, and has then spent two years in a bota – and not just any bota, but a bota that had previously held fino. The result has a more pronounced gold colour and a pungent nose that is lush by comparison, with over-ripe fruit on top of the almonds and herbs. It also has a chalky touch but there is a more pronounced bite to the minerals, and in comparison to its more refined twin it has a big personality on the palate too – far tastier for that time in the barrel. Fascinating stuff – and brilliant with the superb tomato salad at Territorio ERA.